Email List Building is the cornerstone of building an online business, yet it is actually surprising how many blogs, both large and small do not utilize a Dedicated Signup Page for email capture. It may be a conscious choice for many, not to add a dedicated signup page, however to me, providing a dedicated page where someone can sign up to your Email List is List Building 101. Your Sign Up Page is a landing page where you want your visitor to take a single action; subscribe! Pretty obvious that one right? Aweber is one of the most popular email service providers around, and they have a dedicated blog subscribe page that is responsible for over 30% of their signups. The Signup page allows you show, in a direct way, the benefits to your visitor of joining your list. Benefits are a common feature of any good landing page and for good reason. Benefits sell. When you outline the key benefits, do so with your chosen Keywords in mind. The page can then be a hub page for particular content you choose to feature. As sign up pages go, this one from Backlinko is pretty long but serves to demonstrate what I mean. When you have a dedicated page with an easily remembered link, you can share it easily with others and they can remember it. Add it to your email signature, call it out on a podcast, say it to a new business contact etc. Create a simple link like this one larrygmaguire.com/subscribe. By default, your newsletter service provider has a signup page assigned to your list. This sign up page is pretty crappy so you need to replace it with a custom one. To do this, you'll need to embed the source code into your new subscribe page or use a plugin. (See below how to do it using Mailchimp). 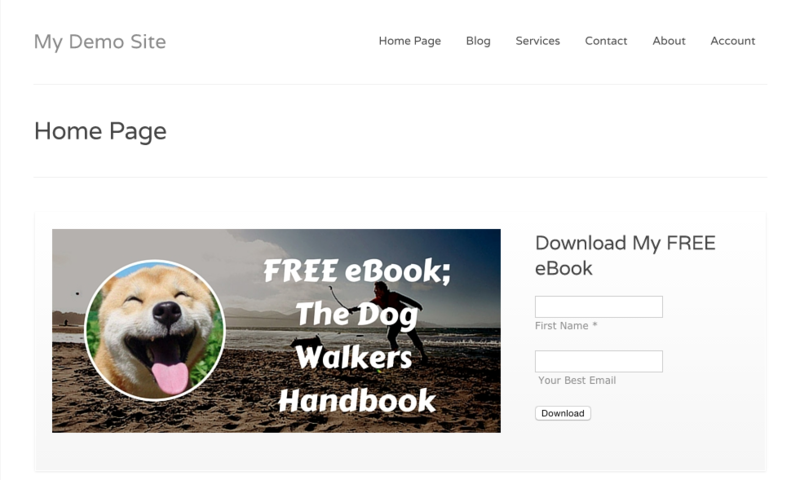 When creating your subscribe page, add internal links to resource pages and popular posts. Google likes Internal links that are relevant so be sure to add these throughout your blog, in posts and such, not only on the subscribe page. 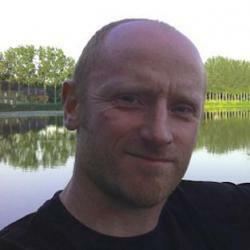 Copyblogger, Hubspot, Problogger, Kissmetrics, Brian Dean...I could go on and on. Now it should be noted that there are many other top ranking blogs do not have a dedicated sign up page, and I'm sure each has their own reason. However it is my advice that you create one because to me it's simply a good idea. Some of the pages I noted above are not very pretty, and some wouldn't be even classed as landing pages per se, but they all seem to be effective. It's up to you. Some sites have it in the main menu, others don't. I like the idea of having it in the main menu just like Help Scout, because it's prominent and always on view. You can call it "Subscribe" "Sign Up" "Newsletter" "Updates" or whatever you like in your menu. Choose whatever matches your overall offering. If you run an online store then you might want to call it "Get Discounts" in your menu, or something enticing like that. Link to your Sign Up page throughout your site, in blog posts and other content pages. Say it continually in all your podcast episodes. Don't go overboard though, it's got to be in context with what you are writing about. Blend your links in with a conversational method of writing. Well, I've pretty much covered that above. Check out the links to the sign up pages I've included in this post for examples, and keep an eye on other peoples sign up pages for inspiration. Login into your Lander account. In case that you haven't created an account in Lander yet, I invite you to create one here. 2. Choose a simple template like this one to customize. We’re gonna keep it simple and to the point so the Lander customisable layout templates are a good option to build your signup page from. The simpler your Landing Page, the more effective each piece of content on the page needs to be at communicating your message. The headline is probably the most important. It must say very directly what it is you are offering. Keep it short, sweet, and to the point. Also take you time to craft this, don’t just throw up anything that comes to mind. The sub-head expands on your headline and allows you the opportunity to give the reader a little more detail. If you’ve grabbed them with your headline, then the sub-head draws them further in. Again, with the subhead, take time to craft it in such a way as to entice your reader further. If you need some help at crafting headlines check out this great article. 5. Choose an image that represents your offer. This is very important because images speak louder than words and often your visitor will make a decision to stay or go depending on what she sees rather than what she reads. Check out my subscribe page as an example. Your visitor wants to know how you can help them. They want to know (in about 2 seconds) what you can do for them, how you can solve their problems. So if you got your Headline, your Sub-Head, and your main image right, now is the time to offer some specifics. Outlining specific user benefits is where you do this and with the above mentioned template you can add three by default. Think in terms of the visitor. How can you solve their problems? You’re detailing benefits here, not features. This is a vital point to remember. People want to know that you are credible. They want to know that they won’t lose out by giving you their email address. People are generally fearful of seeming foolish, even privately where no one else will see it. So they give over their email address reluctantly. In a recent survey I conducted, 60% of respondents said they were reluctant to give out their email address. 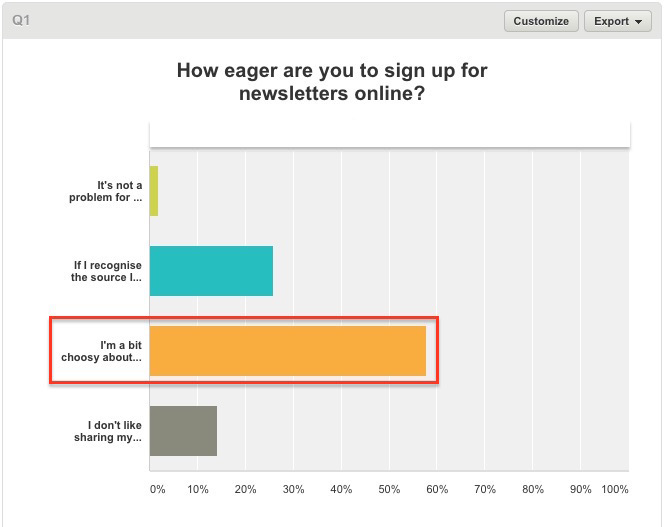 26% said they’ll only give out their email address if the source is recognizable or trustworthy. That considered, we need to work particularly hard at delivering quality content, and proof that we can deliver on a promise. You could say that your headline and subhead are the promise, and the testimonials are the proof. When you are happy you’ve hit a winner on all these points, go ahead and publish it to your site. If you are not using Lander yet, you’ve a bit of work to do. You can create a dedicated signup page directly on your WordPress site but it will take a great deal of to-ing and fro-ing to get it looking good. If you’re just starting out Lander makes sense, however, if you are on a tight budget then here’s a workaround. 1. Create your Signup Page in WordPress with your value added content and give it a simple url like "http://yoursite/subscribe"
2. Next, go to your Mailchimp Dashboard >> Lists >> Select your list >> Sign up forms >> Embedded forms >> Choose "Classic" or "Super Slim", then copy the embed code. 4. Choose the "text" tab, not the "visual" tab in the editor window, and add the signup form code within the ⅓ column shortcode parameters. This will ensure that the signup form will appear in the right hand side of the screen, and above the fold. 5. Staying in the “text” editor window, add your headline, subhead and custom image in the ⅔ column shortcode parameters. 6. Save the page and check the layout is correct. Edit as necessary. If you guys have any difficulty setting this up just drop a comment below and the Lander team will help you out. Or if you have a better method to set up a Signup Page let me know below too! When you're starting out online, or refining a sagging online profile, you need to make your subscribe page prominent so it's seen by your visitors. A dedicated Sign Up Page is a simple and important element of any email list building strategy, and it's one you need to employ straight away. If you choose not to add a Signup Page to your menu, that's fine. Create one anyway and link to it in guest posts, email signature, your own blog posts etc etc. It will surely still bring you value. Have you guys got a custom Signup Page on your site, and what did you use to create it? What conversion rates are you getting? 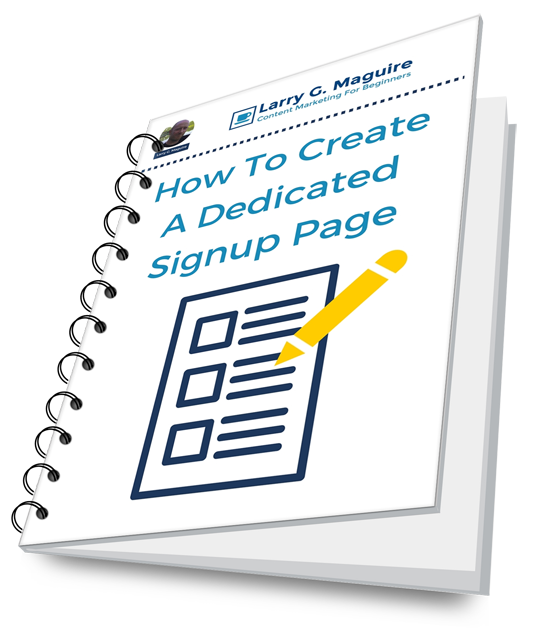 Larry is giving to all Lander's readers this complete mini guide to help you build your Signup Page. Get your free copy here! Howya I'm Larry. I’m a Professional Blogger, Podcaster, Digital Marketeer and total Technology Nerd. I publish Email List Building Strategies through The Content Marketing Blog & Podcast on a weekly basis. I also provide consultation to businesses wishing to create an effective online presence. I live in Dublin, Ireland with my wife Joanne and our three children.